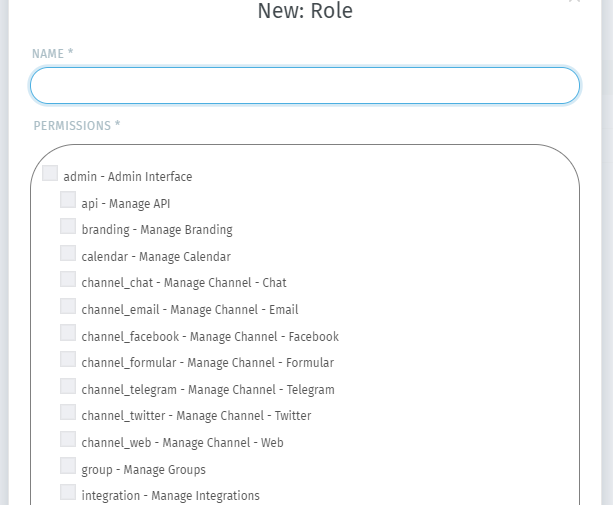 You can define your own agent roles and assign those roles to any user. This allows you to define agent roles that suit your own organizational structure and workflow. In a new modal window, fill the name for the role, permission as per the role such as Admin have all the access, Agent and Customer have different permissions, active the particular user.